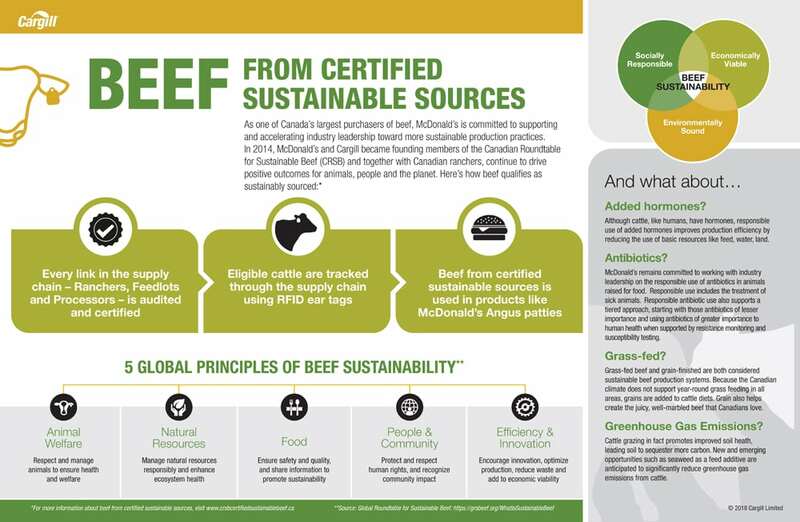 McDonald’s Canada will soon be serving burgers made from certified sustainable beef — and that’s a major win for the country’s cattle sector, say farm leaders. “The big thing about this is the world is going in this direction because of consumer demand,” said Bob Lowe, vice-chair of the Canadian Cattlemen’s Association and a member of the council that oversees the Canadian Roundtable for Sustainable Beef (CRSB). McDonald’s will start selling burgers with the CRSB certification logo this summer. In order to use the logo, at least 30 per cent of the meat in the burger must come from a certified farm. The company’s goal is to eventually use 100 per cent verified sustainable beef, she said. Other companies are lined up to source sustainable beef as well, she said. Loblaws and Cara, which owns Original Joe’s and Swiss Chalet, are also participants in the Canadian Beef Acceleration Sustainability pilot. The pilot, which started in October, has shown companies are willing to pay money for beef that is produced under audited sustainability standards, said Copithorne-Barnes. It costs money to deliver a certified product and beef buyers have to “be prepared to share in that value if they want producers to go through a certification,” she said. Neither Lowe nor Copithorne-Barnes could say exactly how this initiative will play out. 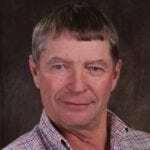 But Lowe, who operates Bear Trap Feeders near Nanton, said he has received money from the pilot, and that there will likely be more money coming in for producers. “We just hope that the economics behind it stays strong so we can create more pull for producers to come on side with this,” said Copithorne-Barnes.